At Center Stage Theater, Thursday, August 14. The 14 cast members of the original musical Newton's Cradle not only sang and acted, but also collaborated with its directors to create the show, much of which is based on their personal experiences. Newton’s third law of motion states that “every action has an equal and opposite reaction.” Directed by Rod Lathim, Norma LaTuchie, and Peter McCorkle, Newton’s Cradle explores how this law applies to social life. 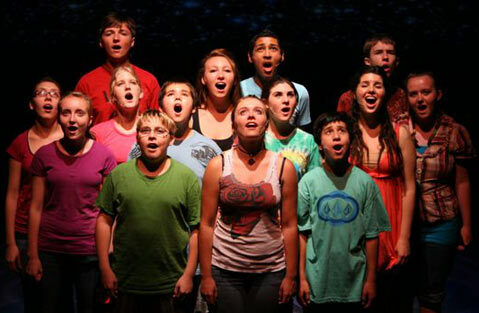 Through a collection of musical numbers, the 14 young actors sing of the hardships of adolescence and show us “what kids feel, what they’re doing, and who they are.” The production is part of the Patricia Henley Foundation’s Summer Youth Theater program.